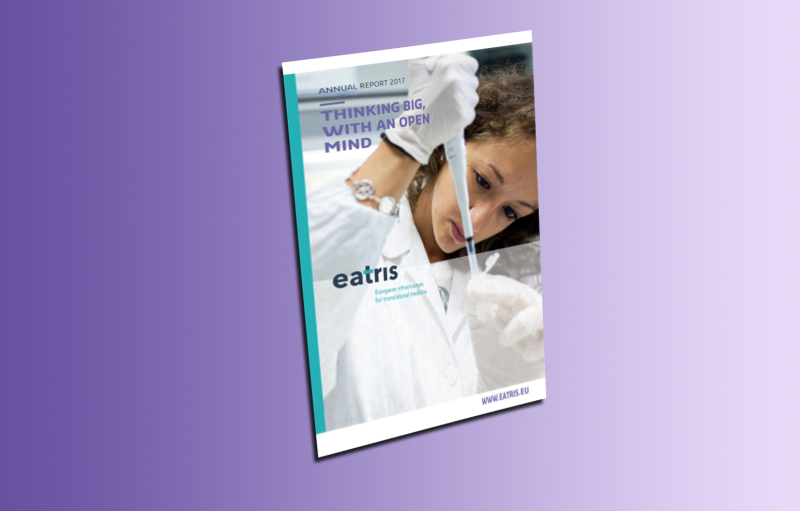 We are proud to present the Annual Report for 2017, the fourth year of active operations for EATRIS ERIC. 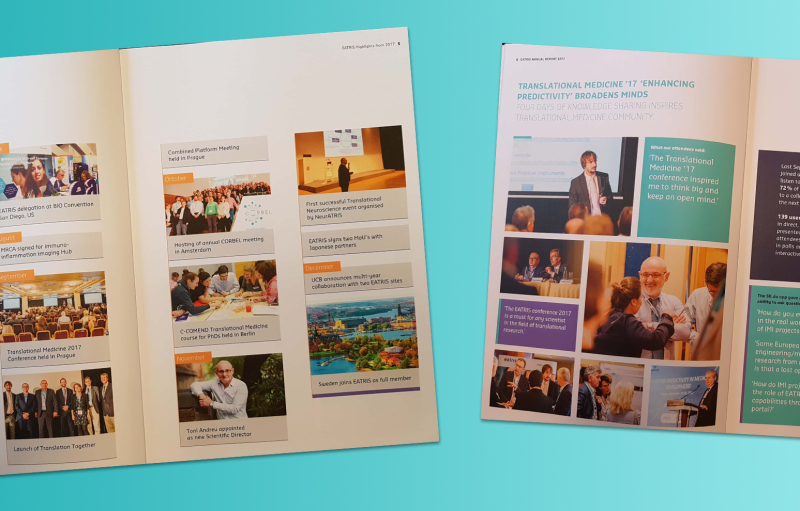 You will learn about the year’s highlights and notable milestones, presented in a more personal format, told by the passionate advocates of Translational Medicine in EATRIS. Thinking Big, With an Open Mind is our chosen theme. These words were the feedback from a delegate that attended the Translational Medicine 2017 conference, who had enjoyed the way the conference encouraged the community to think beyond the usual boxes in which we frame our world. Indeed, Translational Medicine not only encourages but requires a boundaryless approach to science, where the focus is on bringing all possible resources to bear to transform a scientific breakthrough into a life-altering intervention for patients, safely and quickly. At EATRIS this is the core of our mission – bringing the right people and capacities to the table for every high potential project. By removing disciplinary and sectoral boundaries so that we can all work towards the benefit of the patient. In practice, living up to such an ambitious mantra takes considerable effort, mostly in structuring communities and reaching out to stakeholders and building the trust and relationships that are essential for success. That is why this year’s report – similar to previous years – highlights such a diverse range of activities and interlocutors for EATRIS, from the small academic groups with the next breakthrough development in cell therapies, to the European Medicines Agency acting as guardians of public safety in the drug development process. We hope you will enjoy the report, and share our enthusiasm for thinking big with an open mind, working together so that we overcome the barriers to bringing benefit to patients and society.